Blog > The Penny Black turns 175! 175 years! Long may the Postal Service continue. Happy Birthday Ms Black.. and many happy returns .. May the skills of expressing ourselves in written form, using a pen and not a keyboard remain forever. I have an example, still on cover, dated 23 Nov 1840. Not terribly rare or valuable, but it is my most treasured piece of postal history. Very interesting story. Thanks for the lesson. Keep writing people!! Keep our postal systems going!! Malaysia has issued a Miniature Sheet to commemorate the Penny Black. A Landmark in stamp history. Many happy returns ;-), Mrs. Black. Along with other Postcrossers we took the London Postal History tour on Saturday and it is a great way to learn about the Penny Black and the contribution of Sir Rowland Hill to early Postal Systems. On May 6th Royal Mail is issuing new stamps to commemorate the 175th anniversary. It is such a great invention and the charm of this tiny little square piece of paper is everlasting to me. I have one sample and quite a number of penny reds. I just cannot get enough. that's great to know how history of stamps has begun. Royal Mail is the best. 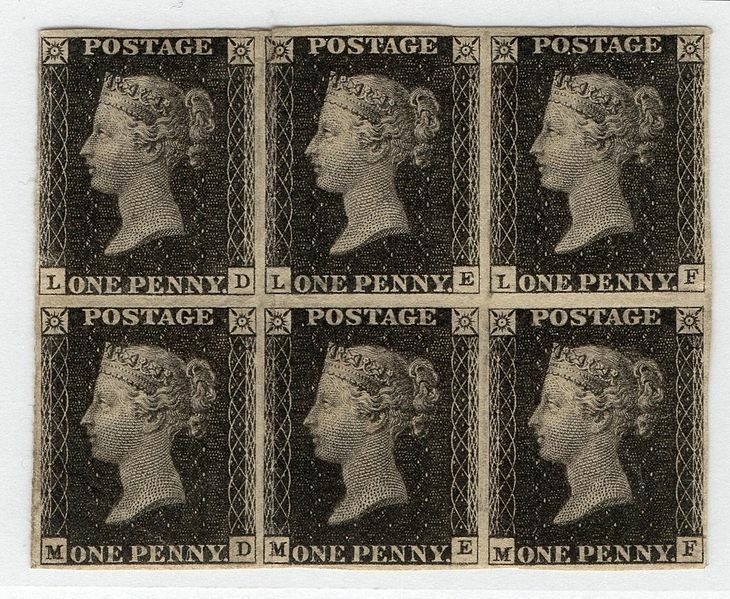 It is very interesting to learn about the Penny Black.I didn't know about the first stamp until this moment.I guess this new knowledge is my birthday present. Today I received a russian postcard with their commemorative 175-years-Black-Penny-stamp-stamp. Very beautiful stamp! Hope to receive more of the commemorative stamps from all over the world.